Previously, I wrote a post about a potential compiler bug with the g++ compiler in the GCC 4.7.2 collection that was driving me nutz: “Uniform Initialization Failure?“. In that post, I flip-flopped between concluding whether the issue I stumbled upon was a bug or just another one of those C++ quirks that cause newbie programmers to flee in droves toward the easier-to-learn programming languages. D’oh! Since I wrote that post, I’ve purchased and have been studying the fourth edition of Bjarne’s TCPPL. It’s now a slam dunk. 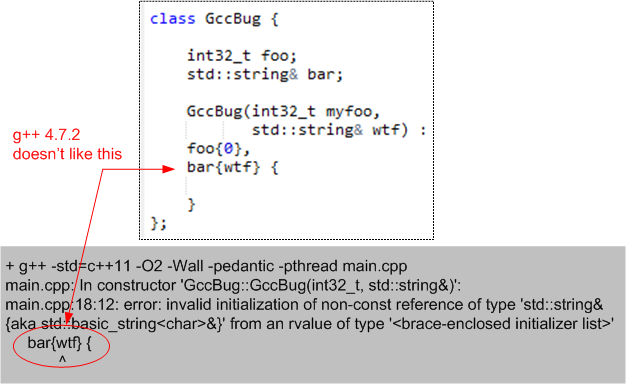 The g++ GCC 4.7.2 compiler does indeed have a bug in its implementation of C++11’s uniform initialization feature. Note how Bjarne “uniformly” uses braces to initialize all of class X‘s member variables – including the Club reference member variable, rc. Note how the compiler spewed blasphemy when I tried to uniformly use braces to initialize the GccBug class’s foo and bar member variables. As you can see, I had to destroy the elegancy of uniform initialization by employing a mix of braces and old-style parenthesis to initialize the foo and bar member variables. It’s my understanding that GCC 4.8.2 has been released and it has been deemed C++11 feature-complete. I currently don’t have it installed, but, if one of you dear readers are using it, can you please experiment with it and determine if the bug has been squashed? 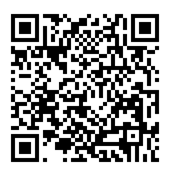 I have a highly coveted BD00 T-shirt waiting in the warehouse for the first person who reports back with the result. Consumption AND Creation Ain’t Life A Kitsch?